From the world of Clay Squared to Infinity comes a galaxy of clay creations. Artists Josh Blanc and Layl McDill launched their works from a home-based attic/studio in 1996. Since those early beginnings, they have grown and expanded out of multiple locations and continue to enjoy sharing their love of beautiful craft and artistry. The newly named Flux Arts Building in the vibrant Northeast Minneapolis Arts District is now home to Clay Squared's latest studio and showroom. Clay Squared and Potek Glass acquired and completely renovated the building in 2018. Their new space offers a larger showroom, additional studios, a gallery, and more classroom space. 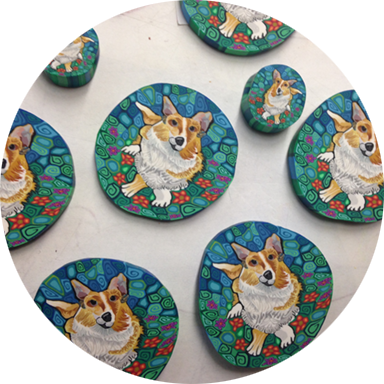 Clay Squared is proud to be a part of, and active participants in the Northeast Minneapolis Arts District community. Clay Squared crafts handmade tiles in many shapes and colors for kitchens, bathrooms, fireplaces, and as art tile. 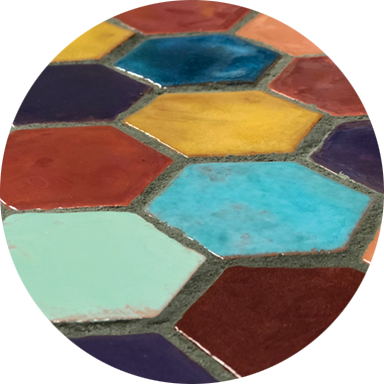 We feature tile by local and national artists and offer the largest selection of historic reproduction tile lines in the US. 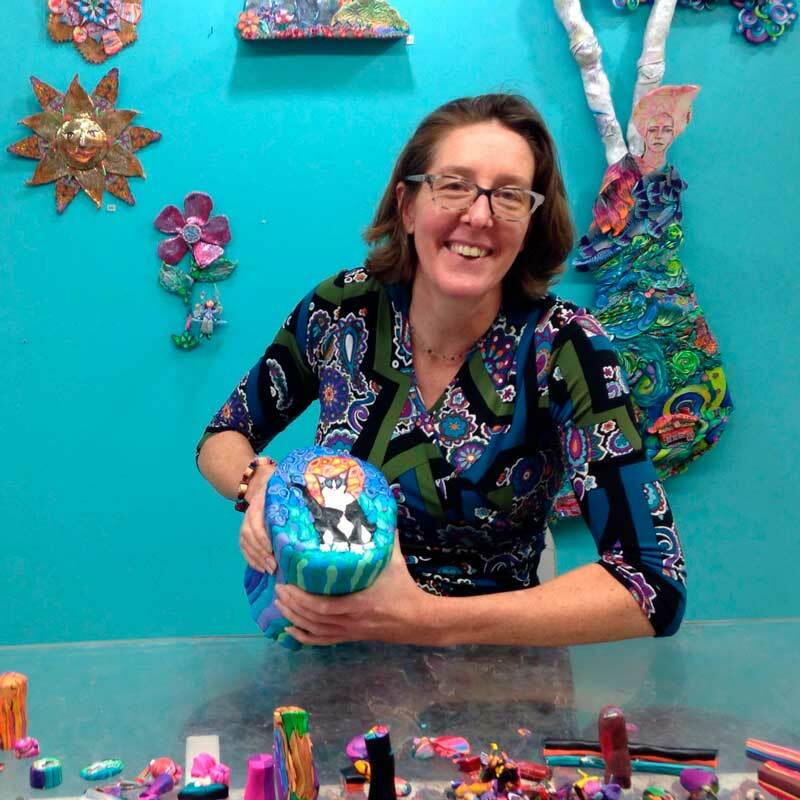 Layl McDill creates magical sculptures and millefiori canes from polymer clay. Find her throughout the year at art festivals around the country or take one of her polymer clay classes at the Clay Squared studio. Visit our brand new location at the intersection of Lowry Avenue and Howard Street in Northeast Minneapolis Arts District. 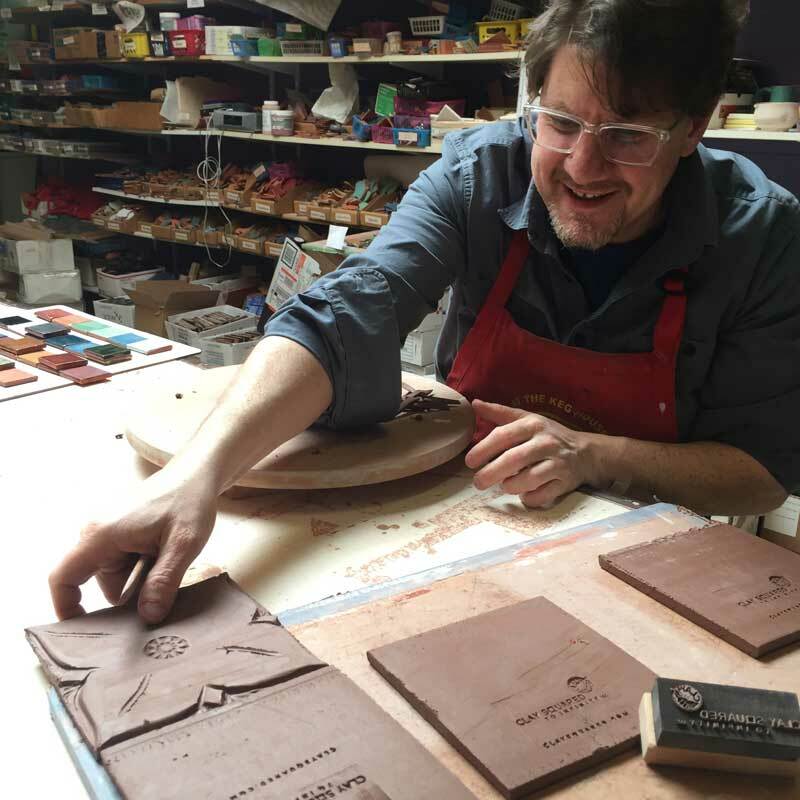 See tile makers and clay artists at work. Learn about Minnesota’s tile design history. Explore our idea library to discover how handmade tile adds beauty, value, and warmth to your home. Our friendly, knowledgeable staff of artists is here to help.